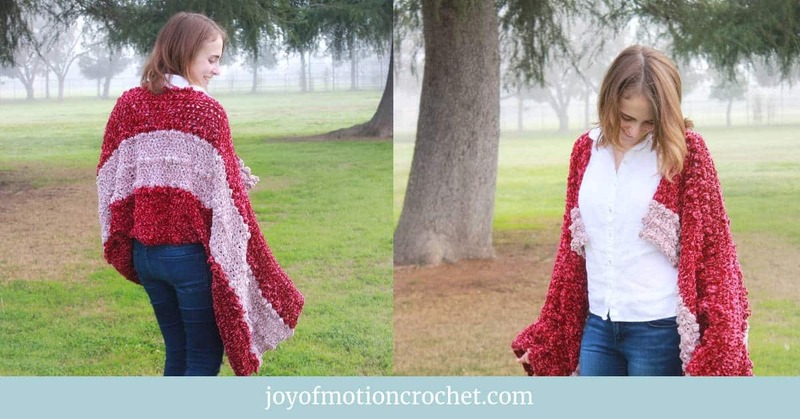 Have you ever been frustrated after you have finished crocheting a BIG project? – you have to weave in all the ends! 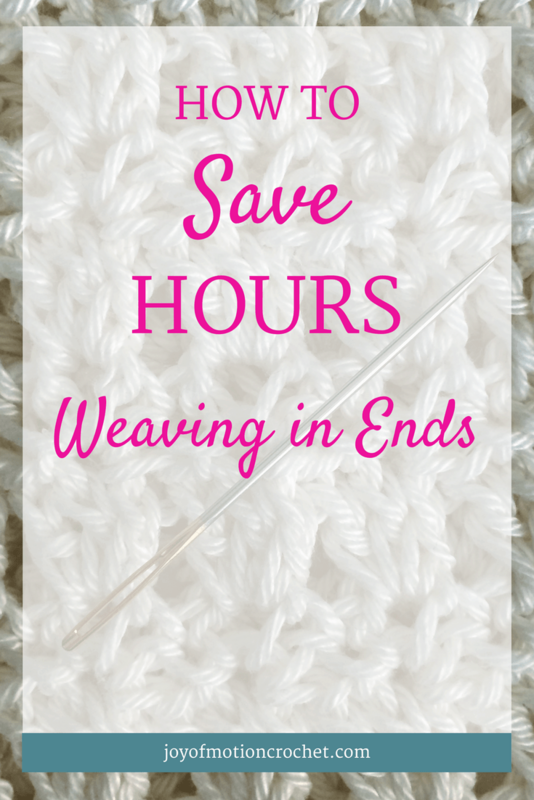 I have a great solution to this that have saved me literally HOURS of weaving in ends. This is usually works best in projects that have long rows or rounds. But can be used for smaller projects as well. 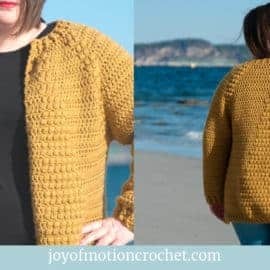 I especially use this technique when crocheting my sweaters – as my sweater designs usually have those long rows. Have you not seen my sweaters yet? 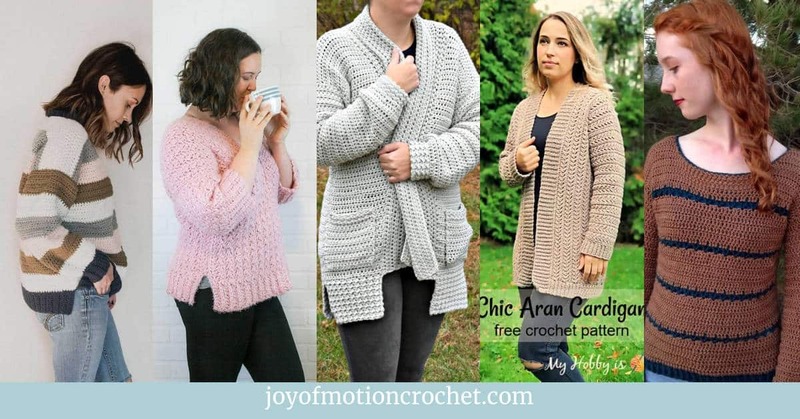 Have a look at the crochet patterns for my sweater designs here. Hey! 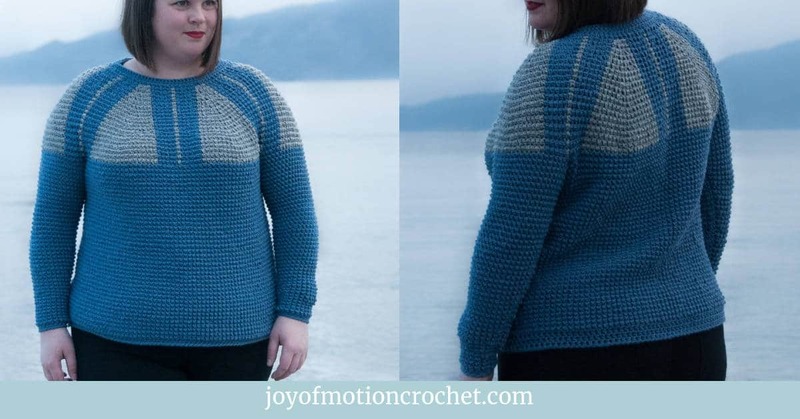 You can also grab a FREE sweater pattern – it’s available when you sign up for newsletters. You can do this by clicking here. But back to weaving in ends. I think this technique is one of the best ways to make sure you save time. 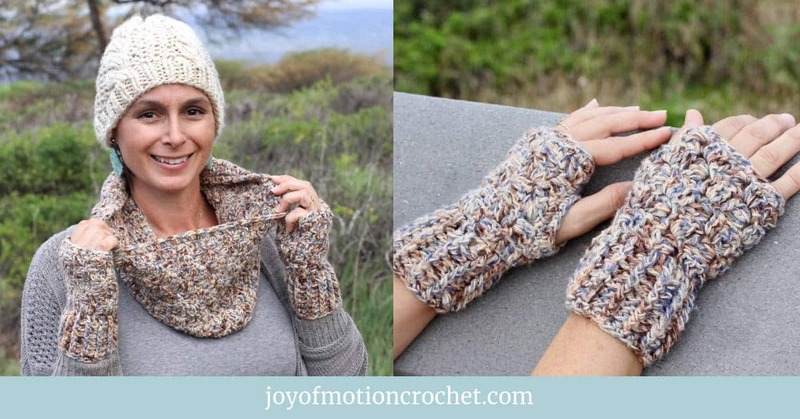 It is also a bigger pleasure to finish the huge projects as you don’t need to spend hours weaving in those ends. Instead you can start your brand new project you are so excited about! If you are looking for something new. 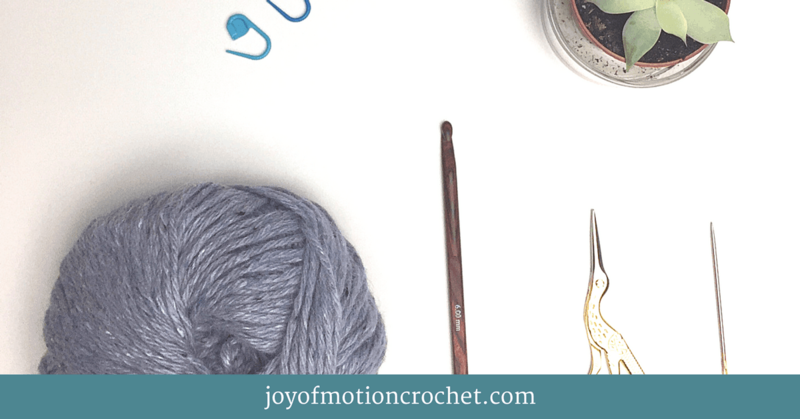 What you need to do is to crochet “in” the ends – while crocheting. This means that you let the thread follow along with you when crocheting. When my skein of yarn is coming to an end I start crocheting “in” my next skein of yarn. In this way the end of the next skein is already weaved in when I start crocheting with it. 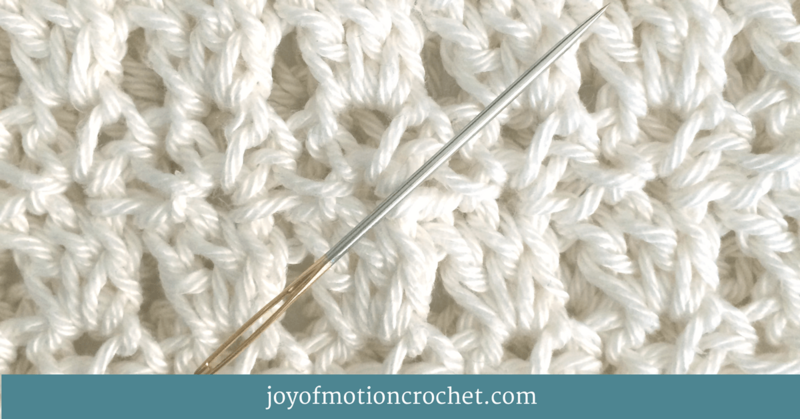 What this means is that your crochet stitch will go over BOTH your stitch from the last row AND the thread. 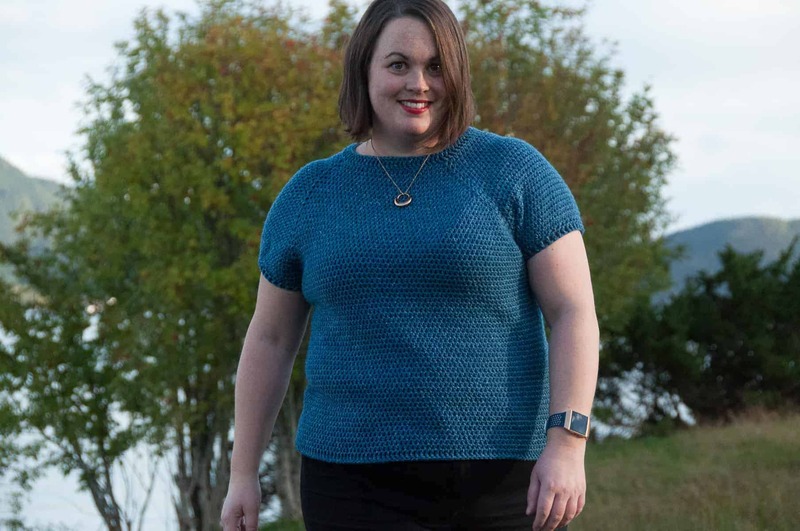 When you change skein, you crochet in the skein you have just finished. Then you have literally NO ends to weave in. AMAZING! There is some technique to doing this. You have to get used to hold the crochet project in a way that keeps the yarn ends running along with it. But when you get used to it, it will save you hours! HOW LONG SHOULD THE ENDS BE? A question you might have: How long should my ends be? My answer is: it depends. I feel that the more slippery your yarn is – the longer the ends should be. 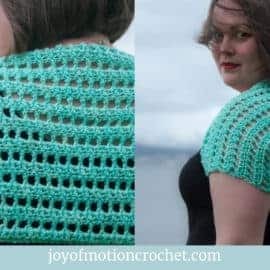 If the yarn is not slippery at all – your ends will move less while your crochet project is being used & the result is also that they will stay more safely in place. Give a length a try & see if they pop out. Usually they won’t. However if you have a really slippery yarn as mercerized cotton, you could use a pointy needle & weave in the final little end to secure it from slipping out. 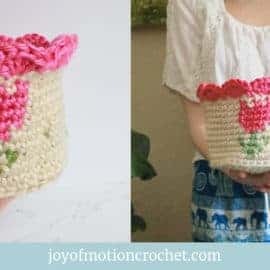 This technique will work the best for single colored projects, but you can make it work for multicolored projects as well – you just have to be smart – and weave in the ends so that they are not showing. This will need a little extra brain power to work out, but you can still figure it out. 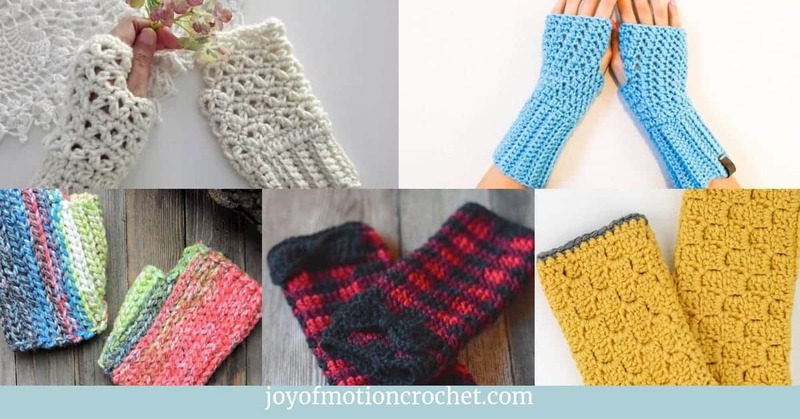 All those granny square blankets may have a much shorter “weaving in ends” time than before. Have you tried it yet? Put it on your to-do list for you next project & let me know what you think! So as I mentioned earlier one of my favorite ways to use this technique is on my sweater patterns. 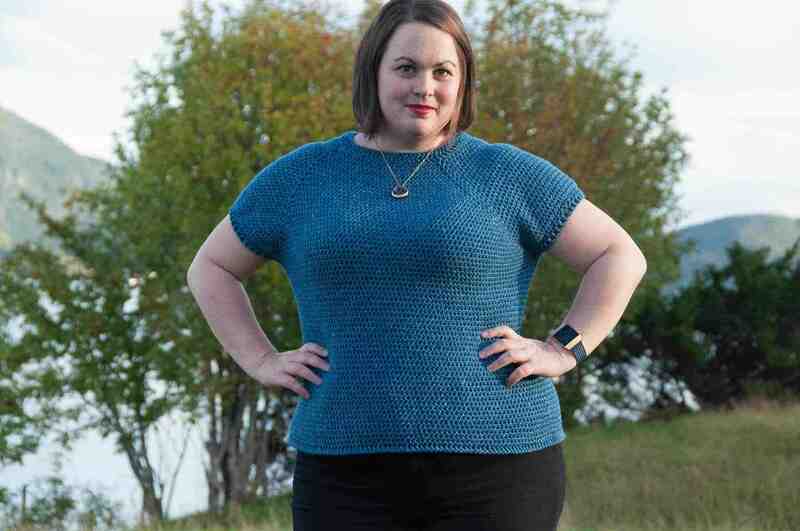 To give you this perfect opportunity I’ve decided to give you a FREE sweater pattern to test it. 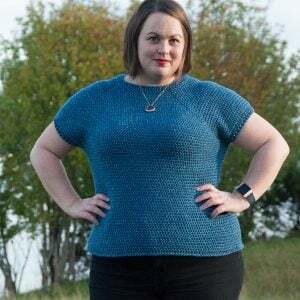 All you have to do is subscribe to my email list to get this pattern & also a huge amount of crochet tips & resources, as well as updates whenever there’s new crochet pattern designs available. Oh my goodness! What a helpful post <3! Thank you! Thank you so much Jess! I really think this have saved me days! Hope you can enjoy this technique too! For those of us that find it hard to follow written directions a tutorial would be nice. This is what I’ve always done…and the reason I can’t understand when people talk about how they’re done with their project except for weaving in the ends. When I’m done with a project, I’m done. Except if I’m going to block it. Same here. I can’t stand the yarn dangling so I crochet right over it. It saves time especially with thread. Yes, always seems the most logical way to go. I wish there was a tutorial too. I’m not understanding how she does this. It’s going to be a picture tutorial some day soon. I’ve just not had the opportunity to take the pictures & then write out the tutorial. I’m hoping you’ll check back to look for it. In the meantime I’m hoping that reading the written tutorial will give you at least some idea on how to do it. It’s really written as detailed as possible. 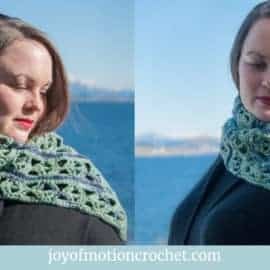 This is the way I’ve always done it and felt like I wasn’t a ‘true’ crocheter when I heard people were using a needle to weave in ends once project is complete. 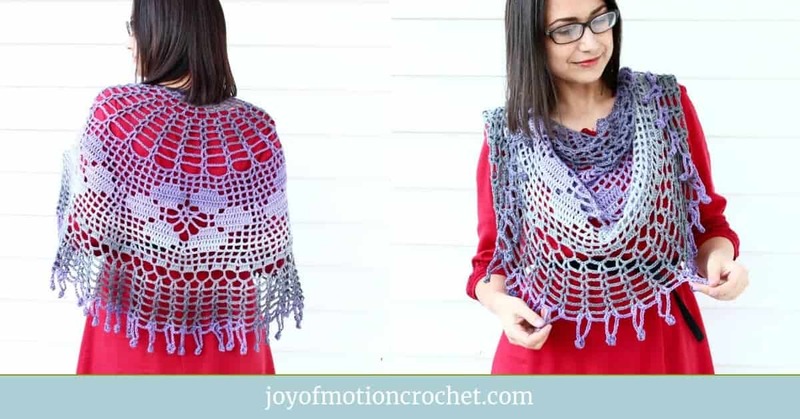 Yes, dear crocheting friends, this is the simplest way to NOT have ends to weave in. That sounds like a great way to do it too. I fold my ends in half and crochet over both pieces of yarn end, making sure I slip my stitch through the fold. Then I give the end a little tug and trim it. Sounds perfect too! I’m so enjoying hearing how everyone is doing this. This is the way I was taught to crochet by my grandmother 40 years ago. 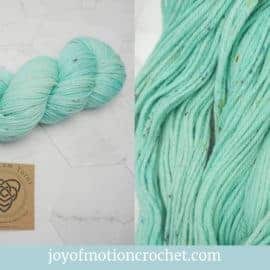 It’s great and I use it on all my multi-skein projects. Amazing, love to hear that this is a technique you use! I just don’t understand what you do with the ends. I tried it, but what I am doing just isn’t working. Any pictures of this? Will try to get one done asap! No, unfortunately I haven’t had the chance to make photos for this tutorial. It is super easy, I’ve been doing it for years. And sometimes the way I join skeins helps. Glad to hear that I’m not the only one liking this technique.